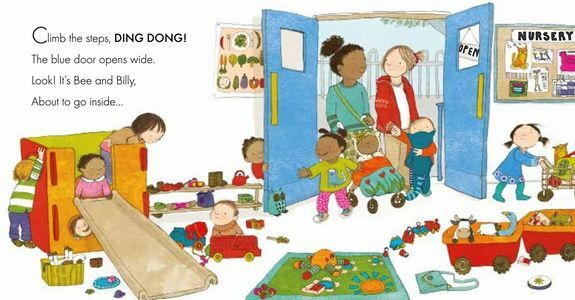 The bright, friendly illustrations, gentle text and a diverse cast of characters makes this the perfect introduction for little ones about to start on their learning journey as they begin playgroup. This perfect one-to-one read for caregivers is a friendly introduction to socialization and the power of playgroup! Illustrations feature a cast of diverse characters. As an aid to teach empathy and cooperation to the under-4 set, this an excellent addition to a parent or caregiver's bookshelf. I love the diversity of characters in this book. 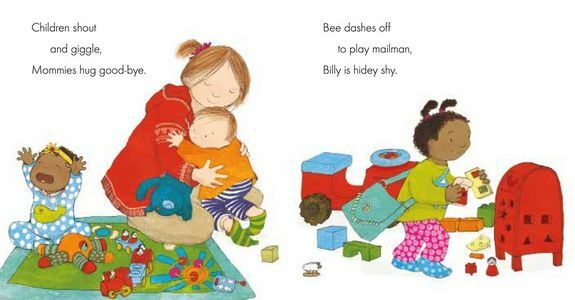 The opening spread shows a world of different people gathering their children for the universal activity of play. Let's Go to Playgroup! also will make for a great bedtime read because it will set you up for the next day's events. It's a welcome addition to preK book collections. Lauren Tobia is a children's book illustrator based in Bristol, UK. Her works include the award-winning Anna Hibiscus series by Atinuke.